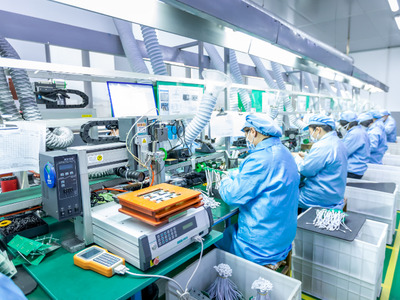 China will fully open the manufacturing sector and treat foreign companies in the same way as their Chinese counterparts, the country's top industry regulator said on Monday. The move is part of China's broader push to pursue greater opening-up for win-win cooperation and to create a level-playing field for all players. Minister of Industry and Information Technology Miao Wei said at the China Development Forum that establishing open partnerships is one of the keys to seeking the high-quality development of manufacturing in China. "China's push to upgrade its sprawling manufacturing sector could bring new opportunities to foreign companies and more efforts will be made to create an open and transparent business environment for them to invest and do business in China," Miao said. Last year, the authorities announced a string of policies to remove the cap on overseas ownership of joint ventures in the automotive and other sectors in China. In 2018, actual use of foreign capital in manufacturing reached 41.2 billion U.S. dollars, up 22.9 percent year-on-year. China also lowered the tariff on imported industrial products last year. Beginning from July 1, the 20-25-percent tariffs for imported vehicles were cut to 15 percent, and duties on auto parts were lowered to 6 percent from the previous levels of 8 to 25 percent. At the same time, duties on more than 8,000 types of industrial products were also lowered to different extents. Earlier this month saw the approval of the Foreign Investment Law, which is aimed at better protecting the rights of foreign investors. Zhang Yansheng, a senior researcher with the Beijing-based China Center for International Economic Exchanges, said at a forum earlier this month that China's manufacturing sector is already a very open and competitive market, with private companies and foreign enterprises accounting for more than 70 percent share of the market. "Though it will take time for the country to transform from a big manufacturer into a manufacturing power in terms of high-quality growth, the past four decades have seen China's consistent efforts to open its sprawling market to foreign manufacturers," Zhang said. Last year, a number of major foreign-funded projects were launched in China, including U.S. auto giant Tesla Inc's 50-billion-yuan (7.46 billion U.S. dollars) plant in Shanghai. Miao said the country is considering a further expansion of market access to telecom and other industries, with more business scope open to foreign companies. Qu Xianming, an expert at the National Manufacturing Strategy Advisory Committee, said: "China is still a hot choice for foreign investment. The government's push to create a pro-business environment will help overseas companies better tap into the huge market."